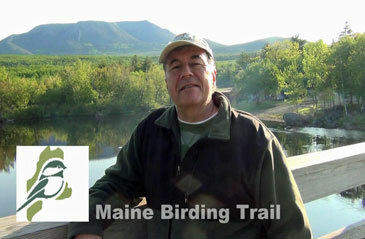 The MAINE BIRDING TRAIL makes it easier to do-it-yourself. But nothing beats having someone along who is familiar with the local birds, including their songs, habits, and secret locations. Here are several. 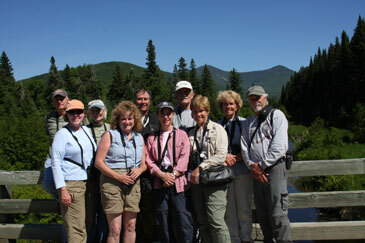 Maine Audubon offers walks, trips, and tours. It also maintains the state's e-mail listserv, enabling birders to post and receive immediate alerts on unusual sightings. Maine eBird customizes and brings home the benefits of eBird to the Pine Tree State - for birders in the 21st Century. Explore, post sightings, read reports. VisitMaine.com is the most comprehensive tool for planning a Maine adventure. Sight-seeing, wildlife-watching, activities, packaged excursions, accommodations, and dining...all at one site. The Maine Innkeepers Association maintains a searchable database of accommodations in the state.